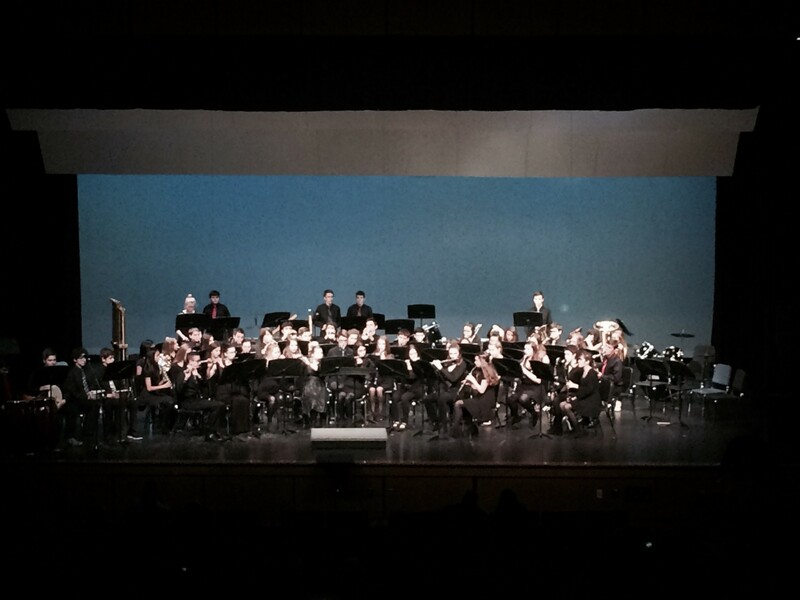 On December 14th, the Exeter High School band kicked off their concert band season with their annual holiday concert. 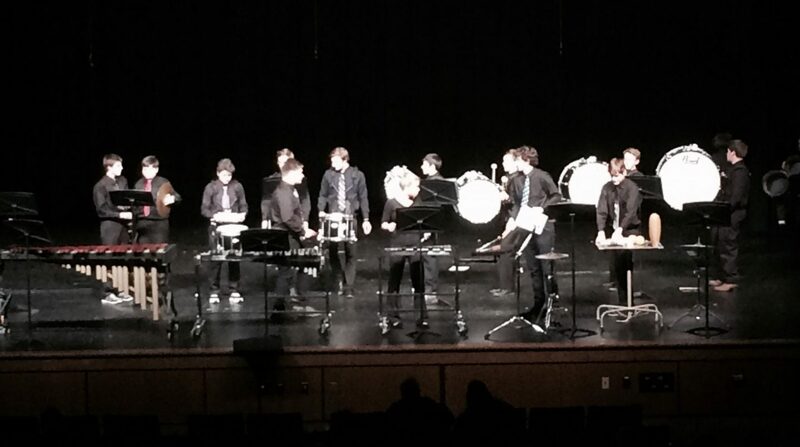 The band was split into three groups: the Concert Band, made up of underclassmen; the Symphonic Band, made up of upperclassmen; and the percussion ensemble. 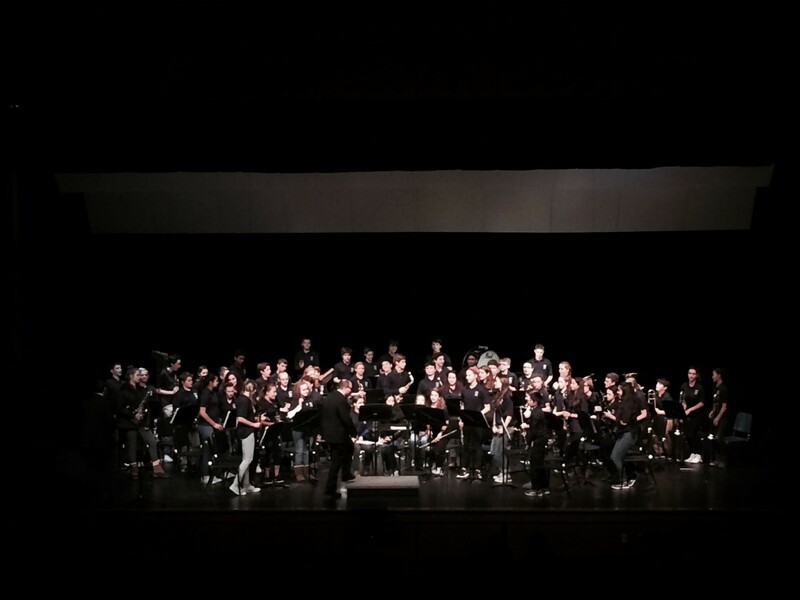 Joining the them was the Cooperative Middle School eighth grade band that takes part in the concert each year to get a taste of high school band. The Concert Band opened with “African Bell Carol.” This piece was an arrangement of “Carol of the Bells” featuring African percussion. Following “African Bell Carol” was a slower piece: Bach’s “Aria.” Lastly, the Concert Band played “Santa’s Excellent Adventure,” a jazzy medley of Christmas songs. All of the groups sounded great and the hard work they put into the music was evident, resulting in an enjoyable performance for all.